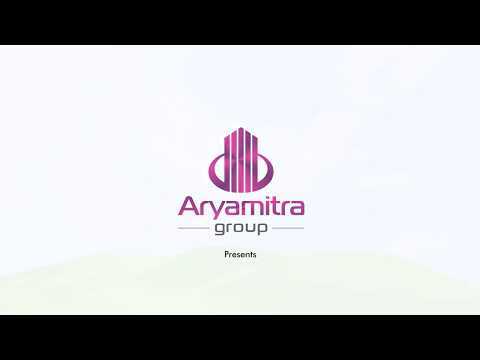 Bay hills the beauty of living apartments is constructed by aryamitra group, leading property developer in hyderabad, with completed, ongoing and forthcoming projects. It has fulfilled aspirations of number of families, accomplished eminent admiration in property prices and constituted as the most modern and trusted real estate brand in hyderabad. Aryamitra enjoys a desirable track of delivering projects on time which it believes the key to customer gratification. Continuous update of technical expertise and adhering to eminent safety and other industry measures help the company to keep the deadlines astringent and deliver the projects promptly. R.C.C. Framed Structure to with Stand Wind & Seismic Loads. Clay moulded First class brick masonry in cement mortar. Internal: Double Coat Cement Plaster with Smooth Finishing. External: Double Coat Sand Faced Cement Plastering. External: Texture finish and weather proof emulsion paints based on the elevation design. LIVING , DINING, ALL BEDROOMS & KITCHEN : Double charged Vitrified Tiles of reputed brand. ALL BALCONIES : Rustic finish Vitrified Tiles of the reputed brand. BATHROOMS : Glazed ceramic Tile dado of the Reputed & brand up to 7'-0" height. French Doors: UPVC door frames with float glass paneled Sliding shutters with mosquito mesh. Provision for cable connection in living room and in all bedrooms. Provision for internet connection in living room and Master bedroom. lift of Kone or equivalent make with front Granite cladding and rich interiors. The rainwater from the terrace & open areas will be collected through rainwater pipes, which will be discharged into the rainwater harvesting pits to recharge the under groundwater. Solar Powered Security fence for total compound. Aryamitra is the trailblazer and one of the Leading Property Developer in Hyderabad, with Completed, ongoing and forthcoming projects. It has fulfilled aspirations of families, accomplished eminent admiration in property prices and constituted as the most modern and trusted real estate brand in Hyderabad. Aryamitra enjoys a desirable track of delivering projects on time which it believes the key to customer gratification. Continuous update of technical expertise and adhering to eminent safety and other industry measures help the company to keep the deadlines astringent and deliver the projects promptly. Aryamitra is among the most impending construction team who is specialized in building residential properties for their customers. This group is accomplished with speciated professionals like architect and engineers who brand their utmost plan for every project. The builder's motive embodies to cater the foremost facilities to their clients at an inexpensive cost. The originative and qualitative construction of this team has ingrained many people. This team also concentrates establishing the trustworthy relation with their customers. Content provided by Aryamitra Group. Info Edge (India) Ltd. disclaims all warranties against infringement.